Is having an effective e-commerce website proving to be easier said than done? Are you wanting to increase traffic, conversions, and build loyalty? The biggest key to capturing and maintaining a potential customer is their first impression of you. This doesn’t only apply to the homepage however. If you don’t properly display and showcase your products, users will click away from your store, instead of continuing to checkout. 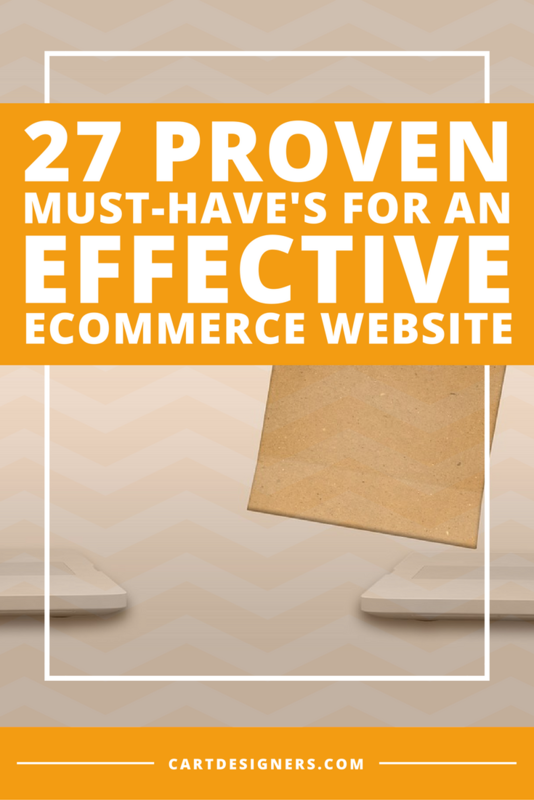 This list is comprised of several examples that are proven effective in growing sales and increasing your conversion rates. Powerful Product Descriptions: Write carefully thought out descriptions, using catchy phrases and buzzwords to capture and excite the reader about your product. A Well Placed CTA: This should be clearly visible on your product page. The goal is to get your customers to checkout quickly, without any hassle. Amazing Product Photos With Varied Images/Angles: Use high resolution, with multiple angles to put your products best features on display. This allows you to show off the detail of your product, while drawing your potential customers into the page. Stock Level Measurements/Sense of Urgency: Clever stock measures, such as a coffee cup that measures stock availability for a coffee website, is a great way to stay on brand. Plus, when stock levels get below a certain point, it adds a sense of urgency that has actually created sales increases of 200-300% in some cases. 13 Clever Ways to Increase Average Order Value in Your Ecommerce Store can help give you more ideas on how to increase your average sales. Shipping Details: This should be listed with your product description. The top reason that shopping carts are abandoned is because of shipping and handling fees. Make the cost clear, as well as where you can or can’t ship to. Holiday Themes: A catchy way to add some fun and memorability to your site is to use holiday themes, such as pumpkins during Halloween or Thanksgiving. Product Instructions: Include all of the information a potential buyer might need in order to use your product or get the most from it. Placing these specific instructions between the “add to cart” or social share buttons will draw attention to exactly where you want your visitors to look. Reviews: Having accessible product review buttons throughout your store improves your social proof, while also reducing the risk for the customer. Visitors are 63% more likely to purchase from a store that has product reviews. Subscription Offer for Recurring Monthly Revenue: One of the more recent and successful ways to increase your client base is through a subscription offer. Products that can be consumed in some fashion are able to employ a subscription based model. Product Information Tabs For Additional Information: After including the most necessary information in the main description, using a drop down tab for additional information prevents the page from becoming too cluttered, as well as it prevents a visitor from being sent to another page. Uncluttered Product Pages: Aim for simple but effective product pages that find balance between too much or too little information. Breadcrumb Trail to Reduce Bounce Rate: Use a breadcrumb trail to create an easy way to navigate back through your product catalog and reduces bounce rate. Cross Selling Within Product Page: Upselling or cross-selling within your product pages is an excellent way to get more value from prospective buyers. Allow Customers to Refine Their Options: Known as faceted search or filtered search, this allows a customer to size or specify exactly what they’re looking for. This reduction of the time and effort necessary to find what they want will make a sale far more likely. Obvious Search Bar: If someone doesn’t find what they want directly on your landing page, the next logical step is often to use the search bar. The search bar should be a primary focus for an effective e-commerce website. Not only does it help a visitor find what they want, but they may even be tempted to stay longer and look around more. Make “Out of Stock” Items Clear: This is important if you want to avoid writing apologetic emails to angry customers due to order cancellations. Make the Shopping Cart Visible on Every Page: Most advanced shoppers don’t want to be repeatedly sent to the basket page each time they add an item to their cart. Thus it should be visible on each page. The use of thumbnails within the cart adds a bit of flair to the basket while also showing the current contents. Ease of Navigation: Consider using super menus that drop down when you hover over them, or fly-out menus that are effective but simple. The use of breadcrumbs (see “breadcrumb trail” above) for this type of menu system is also strongly recommended. Update shipping charges as items are added to cart: The shipping costs should be consistent, clearly, but not excessively defined on product pages. One of the biggest reasons why a cart is abandoned is due to an extra cost being tacked on right before the purchase. SEO: Not using SEO tactics to optimize your site reduces your visitors to pay per click only acquisitions. Be mindful of the placement and wording of your H1 and H2 tags. Also, don’t use the logo as an H1 tag since it will be repeated on each page. Personality: Branding should include simple but clean color(s), theme, and a clean layout. This “personality” will increase the chances that you’ll be remembered and “stand out” from your competition. Social Media Links: These should be noticeable, but not dominating the page. Sharing means more eyes on your product, so be sure to include sites such as Facebook or Pinterest. Product Previews: Whether it’s poor loading times or lack of personal time, a product preview allows for quick browsing, which appeals to many users. Newsletter SignUp Form: Creating an expansive email list can be a daunting task, but it will reap tremendous rewards, especially around the holidays. These come standard on e-commerce stores, so try to spice your up just a touch to be more appealing. Testimonials: A complimentary email expressing love for your product or service not only makes you feel good, but it also encourages others to buy from you. These can be incorporated effectively through either a sidebar addition or slider. Easy to Contact You: Believe it or not, many people are still uncomfortable about buying online. One of the best ways to instill trust is by using clear and concise contact information. Returns policy: Another way to increase the trust in your company is by having a clear returns policy. This makes people more comfortable knowing that if they aren’t happy, they can get their money back (hopefully to spend on something else in your store). Incorporating as many of these as possible will lead to a far more effective e-commerce design. Including and responding to your visitor’s primary interests, wants and needs are all factors that this list entails. Growth driven design processes include these ideas, as well as tested results and usage data, for increased traffic and conversions.